We are moving towards the end of the regular season, with the last regular season games scheduled for Wednesday the 13th of April. This means the next two weeks are likely to be very busy with teams desperate for points and wins that could make or break the rest of their campaign. In the Western Conference, all of the divisional titles have been decided with the Golden State Warriors winning the Pacific Division, Oklahoma City Thunder winning the Northwest Division and the Southwest Division has been won by the San Antonio Spurs. No divisions have been clinched yet in the Eastern Conference but the Cleveland Cavaliers have clinched a playoff spot. This all-important week of NBA action gets underway with the Bulls welcoming the Kings. The Memphis Grizzlies will be desperate for a win in Phoenix so look to take the Grizzlies at -2, at odds of 1.90. 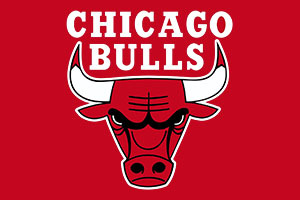 The Bulls should also have enough to deal with the Kings at home, so look to take the Bulls at -7, at odds of 1.90 and the Over/Under market for that game is worth a look at going UNDER 217.5 at odds of 1.90. The Raptors trip to Boston is likely to be a hugely important game and the Thunder know that the Rockets will be keen to grab something from their game. The Cavs should be confident at home to the Bucks while the Hawks and the Wizards could serve up a classic in Washington. There are plenty of games to choose from on Thursday with even a couple of late evening options for NBA fans in the United Kingdom and Europe. The Heat in San Antonio could be worth watching while the Knicks at home to the Bulls is likely to be the best late game, although the Pelicans in Indiana could be of merit. It looks like being a Goof Friday with a number of interesting games, with the Jazz away to the Thunder possibly being the pick of the bunch. The Wizards welcoming the Timberwolves has plenty of potential and the Hornets and the Pistons will both be keen to grab a win. There is no shortage of basketball betting options on Saturday and there are more than enough good games to look out for. The Warriors host the Mavericks, the Cavs travel to New York to take on the Knicks and the Spurs welcome the Grizzlies. The Raptors trip to Houston could be of merit while the Heat clash against Orlando in Miami. The Celtics will be keen to clinch a win in Phoenix while the Spurs and the Thunder clash could well be the game of the weekend. The Rockets and the Pacers is the ideal match to end your week in UK and Europe but the earlier evening tip-off time for the Nuggets away to the Clippers may be preferable. The early hours of Easter Monday morning sees the Lakers welcome the Wizards and the Warriors will be looking to rack up plenty of points against the 76ers.